This is an extension of the peer review process that is not tied directly to your course summary. When you make your Submission, you have an option to post it to the Discussion Board, where it is visible to all other members of your class. Also, you have the same option when posting critiques during the Review process. Your critiques are posted to the corresponding Submissions. You are able to review the other submissions and critiques outside of your peer group. The more exposure you have to possible alternative “solutions” to a given “problem”, the more experience you get that you can apply to your future submissions. In addition, you can now critique not only submissions but also other students’ critiques. In this way, the discussion may go on. Although the discussion board does not affect your grade (reported in the Summary), your instructor might use it for the benefits above. In case you want to read and comment on more posts for your own learning, or if you instructor requires you to do so, here are the basics on how to use the Discussion Board. 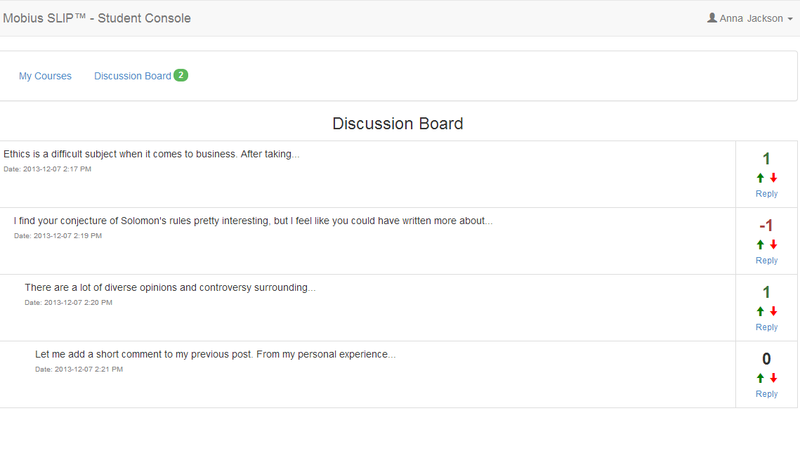 You can post to the Discussion Board when you post submissions and critiques. You do this by leaving the check in the box. 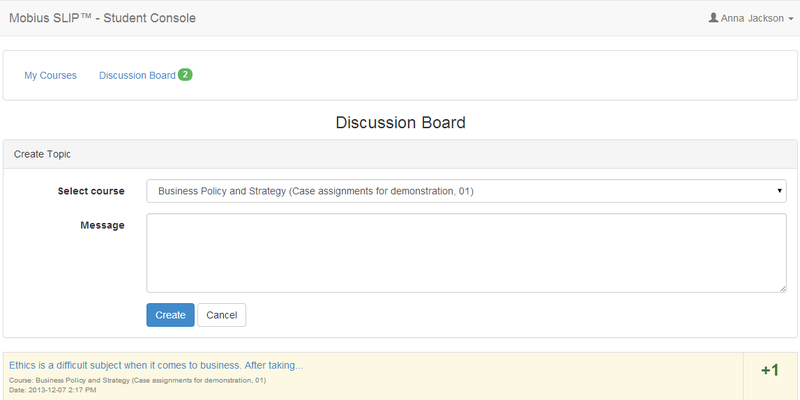 You can also post a new thread by clicking [Create Topic] on the Discussion Board main page. To read posts, click on the Discussion Board link at the top of the page. Then click on the submission which you want to read. To comment on a submission or critique, click the Reply link under vote Up/Down buttons. The comment space will open and allow you to type. Click when you are finished. Just like in social media, you can show that you like/dislike or agree/disagree with a post by using the Up and Down arrows. If you leave a comment, always remember to vote (Up or Down).